The RASC observing programs span a wide range of observing topics and experience levels. Beginning observers (and sometimes experienced observers) often ask "What do you mean by an observation?" Luckily, most members belong to Centres that have experienced observers who can advise them, but it is still worthwhile to answer this question. Simply put, at its most elementary level, an observation is a brief description of what you see, whether using the unaided eye, binoculars, or a telescope. To be complete, the observation should be recorded in some fashion, so at least you can recall the experience for yourself, if not for someone reviewing your work for the purpose of awarding an observing certificate. Of course, as you progress through the observing programs from introductory to advanced, you will improve your observing skill, see more, and have more to record. 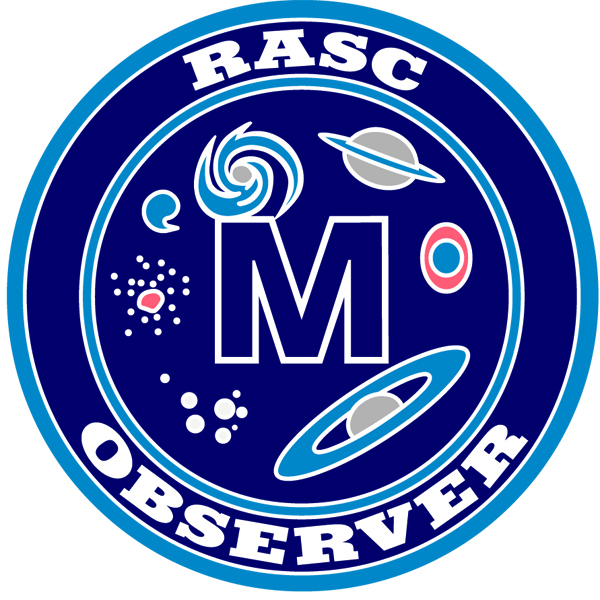 Elsewhere on this site, the RASC has provided more specific details and tips for observers, including RASC expectations for observing reports. The important thing is to start looking, have fun, and (in the words of one of our most certified observers) “get it down on paper!” Go to Observing Tips & Expectations to see more. 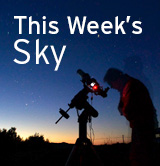 The RASC offers seven observing programs to promote active observing, based on a selection of object lists published in the RASC Observer's Handbook. Observing programs are a great way to learn more about the night sky, challenge yourself, and get the most out of our rewarding hobby. By successfully completing a program, a RASC member may apply for an official certificate for that program (non-members may apply for the Explore the Universe certificate). Several certificates come with lapel pins. NEW! Scroll down to watch 3 videos describing the RASC observing programs. Explore the Universe—A program for the novice observer, covering all major astronomical objects, including constellations, bright stars, the Moon, the Solar System, deep-sky objects, and double stars. EtU can be completed with the unaided eye and binoculars, but a small telescope (non-GoTo) may be used as well, as you wish. The EtU certificate and pin is available to all, whether an RASC member or not. Explore the Moon—An introductory lunar observing program with certificate and pin, based on 100 features in the RASC Observer's Handbook, including craters, seas, mountains, valleys, and cliffs. Online resources include standard and mirror-reversed maps. EtM is a great way to learn how to use your telescope. Members can apply for two certificates: telescope (with pin) and binocular. Messier Catalogue—Follow Charles Messier's 18th-century journey through the northern skies by observing his famous list of 110 "not comets," including the Andromeda Galaxy, the Orion Nebula, the Hercules Cluster, and the Pleiades. Many objects will require a mid-sized telescope (100+ mm) to appreciate. The certificate (with pin) is available to members in two versions: Traditional (star-hopping) and Computer-aided (GoTo). Finest NGC Objects—A slightly more challenging deep-sky program for the intermediate observer, developed by Alan Dyer. The Finest NGC Objects contains 110 deep-sky objects, mainly from the New General Catalogue, including the Double Cluster, the Rosette Nebula, the Veil Nebula, and more. Most objects will require a mid-sized telescope (200+ mm) to appreciate. The certificate (with pin) is available to members in two versions: Traditional (star-hopping) and Computer-aided (GoTo). 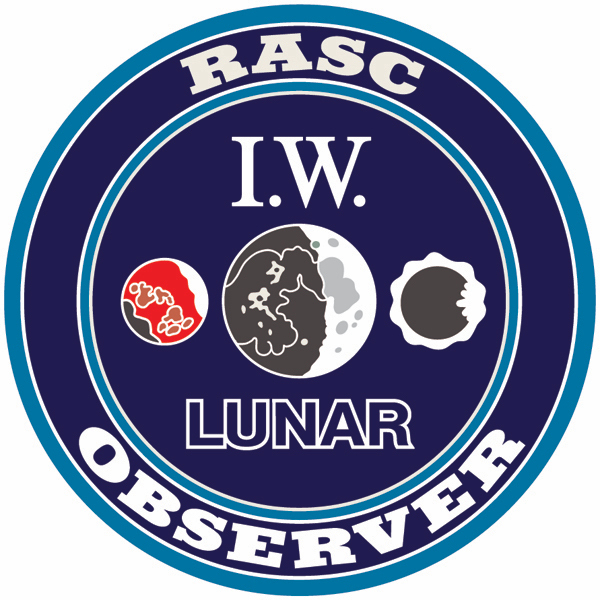 Isabel Williamson Lunar Observing Program—The RASC's intermediate-level lunar observing program, more thorough than Explore the Moon, requiring a mid-sized telescope (150+ mm). It includes a comprehensive list of the best features visible on the surface of the Moon, and detailed observing notes and explanations that will guide you through a complete tour of the amazing surface of our nearest neighbour in space. A certificate (with pin) is available to members. Through practice, everyone can improve their observing skills. Go to the Observing Tips & Expectations page to find recommendations and suggestions about observing. We include tips for operating your telescope in the dark, as well as ideas for improving your ability to see astronomical objects through your telescope. This section also includes advice on making and recording an observation, with an emphasis on the importance of keeping an observing log book. Finally, we review both the basic requirements that are expected of any log book entry, as well as offering advanced guidance on things you should consider when observing specific classes of objects. Sketching objects to earn observing certificates is NOT mandatory, but it is actively encouraged. There are spaces provided for sketching in the various observing log pages we provide, but they are optional. However, with or without a sketch, a written description is required. When we encourage observers to sketch, we are not looking for artistic renditions, although several observers do have artistic skill and apply it. For the purpose of earning an observing program, the (optional) sketch can be quite basic. The sketch simply provides an “aide memoire,” a way of remembering what you saw. Many observers find that making even a rudimentary sketch of what they see makes the experience far more enriching. 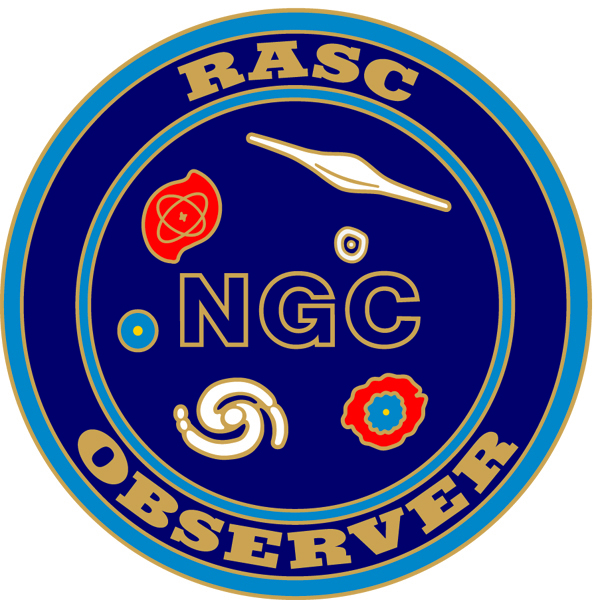 The RASC's observing certificate programs are supported and managed by the Observing Committee.